where R is the gas constant, T is the temperature of the environment, c; is the concentration ofthe ;th component expressed in a suitable unit, and c; , is the concentration of the ;th component at thermodynamic equilibrium and n is the number of components. c; is very low for living component because the probability that living components are formed at thermodynamic equilibrium is very low. It implies that living components get a high eco-exergy. c; is not zero for organisms, but will correspond to a very low probability of forming complex organic compounds spontaneously in an inorganic soup at thermodynamic equilibrium. c; on the other hand is high for inorganic components, and although c; still is low for detritus, it is much higher than for living component. The exergy of structurally complicated material can be estimated based on the elementary composition. This has, however, the disadvantage that a higher organism and a microorganism with the same elementary composition will get the same exergy which is in complete disagreement with the lower probability to form a more complex organism, that is, the lower concentration of c; in the equation. The composition will not account for the contribution of Kullbach's measure of information, which is often the major part of the eco-exergy, as it is shown below. The problem related to the assessment of Cj has been discussed and a possible solution proposed. For dead organic matter, detritus, which is given the index 1, it can be found from classical thermodynamics. where the concentration now is expressed in g per unit of volume and the exergy in kilojoules per unit of volume. The calculation of eco-exergy accounts for the chemical energy in the organic matter as well as for the (minimum) genetic information embodied in the living organisms. The latter contribution is measured by the extremely small probability to form the living components, for instance algae, zooplankton, fish, mammals, etc., spontaneously from inorganic matter. Weighting factors defined as the exergy content relatively to detritus (see Table 1 ) may be considered quality factors reflecting how developed the various groups of organisms are and to what extent they contribute to the exergy due to their content of information which is reflected in the computation. The ^-values in Table 1 are found on basis of latest knowledge of the genome size and the complexity of different organisms. A /3-value of 2.0 means that the eco-exergy embodied in the organic matter and the information are equal. As the ^-values in Table 1 are much bigger than 2.0 (except for virus, where the /3-value is 1.01) the information eco-exergy is the most significant part of the eco-exergy of organisms. The eco-exergy due to the 'fuel' value of organic matter (chemical energy) is about 18.7 kJg-1 (compare with coal: about 30 kJg-1 and crude oil: 42 kJg-1). It can be transferred to other energy forms for instance mechanical work directly, and be measured by bomb calorimetry, which requires destruction of the sample (organism), however. The information eco-exergy = (fl — 1) c is taken care of by the control and function of the many biochemical processes. The ability of the living system to do work is contingent upon its functioning as a living dissipative system. Without information eco-exergy, the organic matter could only be used as fuel similar to fossil fuel. But due to the information eco-exergy, organisms are able to make a network of the sophisticated biochemical processes that characterize life. The eco-exergy (of which the major part is embodied in the information) is a measure of the organization. This is the intimate relationship between energy and organization that Schr0dinger was struggling to find. As calculated here, eco-exergy is a result of evolution and of what Elsasser calls re-creativity to emphasize that the information is copied and copied again and again in a long chain of copies where only minor changes are introduced for each new copy. The energy required for the copying process is very small, but it has of course required a lot of energy to come to the 'mother' copy through the evolution for instance from prokaryotes to human cells. ß-values = exergy content relatively to the exergy of detritus (Jorgensen et al.). The total eco-exergy of an ecosystem cannot be calculated exactly, as we cannot measure the concentrations of all the components or determine all possible contributions to exergy in an ecosystem. If we calculate the exergy of a fox for instance, then the above shown calculations will only give the contributions coming from the biomass and the information embodied in the genes, but what is the contribution from blood pressure, sexual hormones, network interactions, etc.? These properties are at least partially covered by the genes but is that the entire story? We can calculate the contributions from the dominant components, for instance by the use of a model or measurements that cover the most essential components for a focal problem. The 'difference' in eco-exergy by 'comparing' two different possible structures (species composition) is decisive here. Moreover, eco-exergy computations give always only relative values, as the eco-exergy is calculated relatively to the reference system. 1. We have made some although minor approximations in the equations presented above. 2. We do not know the genes in all details for all organisms. 3. We calculate only in principle the eco-exergy embodied in the proteins (enzymes), while there are other components of importance for the life processes. These components are contributing less to the exergy than the enzymes and the information embodied in the enzymes control the formation of these other components, for instance hormones. It can however not be excluded that these components will contribute to the total exergy of the system. The life processes are of course considered indirectly as the enzymes determine the life processes. 4. 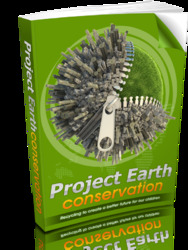 We do not include the eco-exergy of the ecological network. If we calculate the exergy of models, the network will always be relatively simple and the contribution coming from the information content of the network is considerably less than the exergy contribution from the organisms. The real ecological network may contribute much more to the total exergy. When network models are compared it may also be relevant to compare exergy of different networks. 5. We will always use a simplification of the ecosystem, for instance by a model or a diagram or similar. This implies that we only calculate the exergy contributions of the components included in the simplified image of the ecosystem. The real ecosystem will inevitably contain more components which are not included in our calculations. It is therefore proposed to consider the eco-exergy found by these calculations as a 'relative minimum eco-exergy index' to indicate that there are other contributions to the total exergy of an ecosystem, although they may be of minor importance. In most cases, however, a relative index is sufficient to understand the reactions of ecosystems because the absolute exergy content is irrelevant for the reactions. 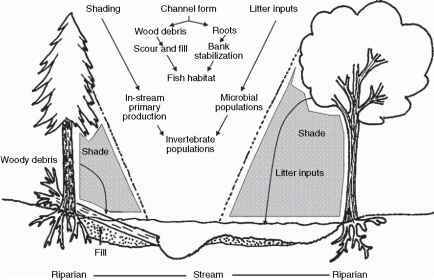 In most cases, the change in eco-exergy is of importance to understand ecological responses. Structural Dynamic Models. The relatively good results in applying the weighting factors in this context, in spite of the uncertainty of their assessment, seems only to be explicable by the robustness of the application of the factors in modeling and other quantifications. The differences between the factors of the microorganism, the vertebrates, and invertebrates are so clear that it does not matter if the uncertainty of the factors is very high -the results are influenced slightly. On the other hand, from a theoretical point of view it would be an important progress to get better weighting factors but also because it would enable us to model the competition between species which are closely related. The key to find better ^-values maybe the proteomes (the total compositions of the proteins that as enzymes determine the life processes). Our knowledge about the composition of proteomes in various organisms is, however, more limited than for the number of the genes.